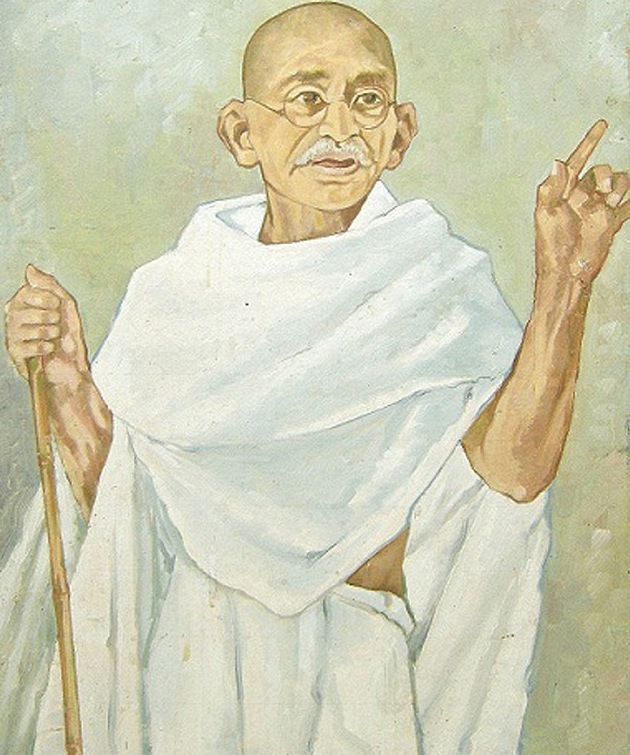 Gandhi is often referred to as a political philosopher but is rarely mentioned as an economic theorist. A few writers, however, have discussed the economic implications of Gandhian nonviolence, E. F. Schumacher being among the most prominent, in Small is Beautiful, and A Guide for the Perplexed. The anthology edited by R. Diwan and M. Lutz, Essays on Gandhian Economics is also a useful handbook. The post-Gandhian Indian nonviolent movements of Gramdan and Bhoodan, sometimes linked under the common theme of Sarvodaya, were as well primarily economic, as brilliantly discussed by Geoffrey Ostergaard in Nonviolent Revolution in India. Despite these attempts it seems fair to say that nonviolent economic theory is a fledgling discipline. It is the purpose of this section of our website to add to this discussion notable essays on the theme, as those by Robert Ellsberg, Ostergaard, Iyer, Schumacher, and needless to say Gandhi himself. Nonviolent action provides the best hope for moving beyond capitalism to a more humane social and economic system. 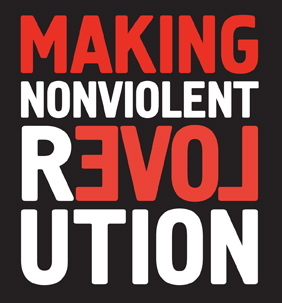 In the past, methods of nonviolent action such as strikes, boycotts, non-cooperation, sit-ins and alternative institutions have most commonly been used to challenge systems of direct violence, such as repressive governments. Capitalism is a more difficult system to challenge using nonviolent action because of the way it infiltrates people’s everyday thinking and behaviour. 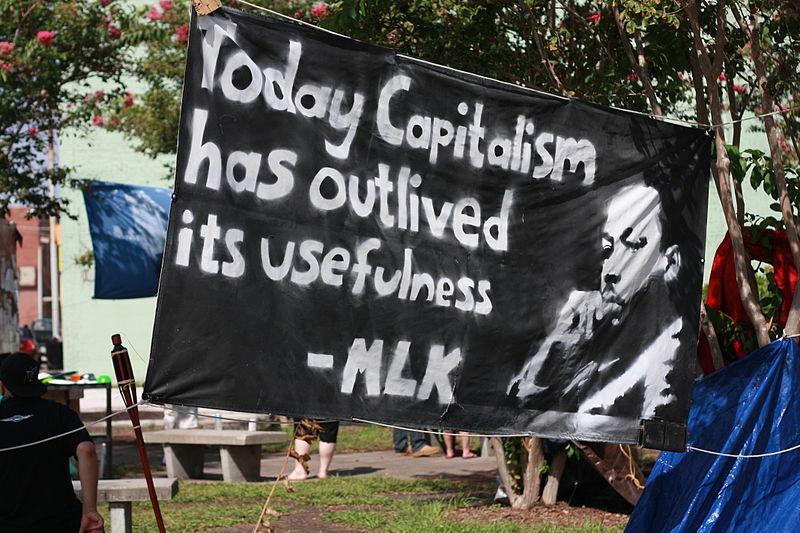 In order to develop a nonviolence strategy against capitalism, a careful analysis is required to pinpoint key areas for attention, spell out alternatives and highlight opportunities. At the core of capitalism is private ownership of the means of production, including land, factories and knowledge. This is backed up, ultimately, by the coercive power of the state. Problems with capitalism are well known, so only a summary is given here. Generally speaking, the system of ownership encourages individuals and groups to put special interests above general interests. Posted on 27 October 2016 under Economic Theory, Gandhi, History. ‘Does economic progress clash with real progress?’ When I accepted Mr. Kapildeva Malaviya’s invitation to speak to you upon the subject of this evening, I was painfully conscious of my limitations. (1) You are an economic society. You have chosen distinguished specialists for the subjects included in your syllabus for this year and the next. I seem to be the only speaker ill fitted for the task set before him. Frankly and truly, I know very little of economics, as you naturally understand them. Only the other day, sitting at an evening meal, a civilian friend deluged me with a series of questions on my crankisms. As he proceeded in his cross-examination, I being a willing victim, he found no difficulty in discovering my gross ignorance of the matter. I appeared to him to be handling with a cocksureness worthy only of a man who knows not that he knows not. To his horror and even indignation, I suppose, he found that I had not even read books on economics by such well-known authorities as Mill, Marshall, Adam Smith and a host of such other authors. (1) In despair, he ended by advising me to read these works before experimenting in matters economic at the expense of the public. He little knew that I was a sinner past redemption. My experiments continue at the expense of trusting friends. For, there come to us moments in life when about some things we need no proof from without. A little voice within us tells us, ‘You are on the right track, move neither to your left nor right, but keep to the straight and narrow way.’ With such help we march forward slowly indeed, but surely and steadily. That is my position. Posted on 16 June 2016 under Economic Theory, Gandhi. 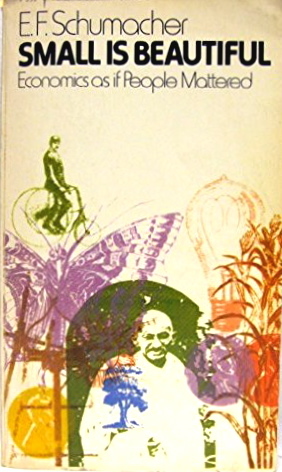 Gandhi’s visions of Gram Swaraj, self-sufficient but inter-linked village republics with decentralised small-scale economic structures and participatory democracy, left him immediately at odds with those in and outside the Indian National Congress who were seeking to develop India into a modern industrial nation state. 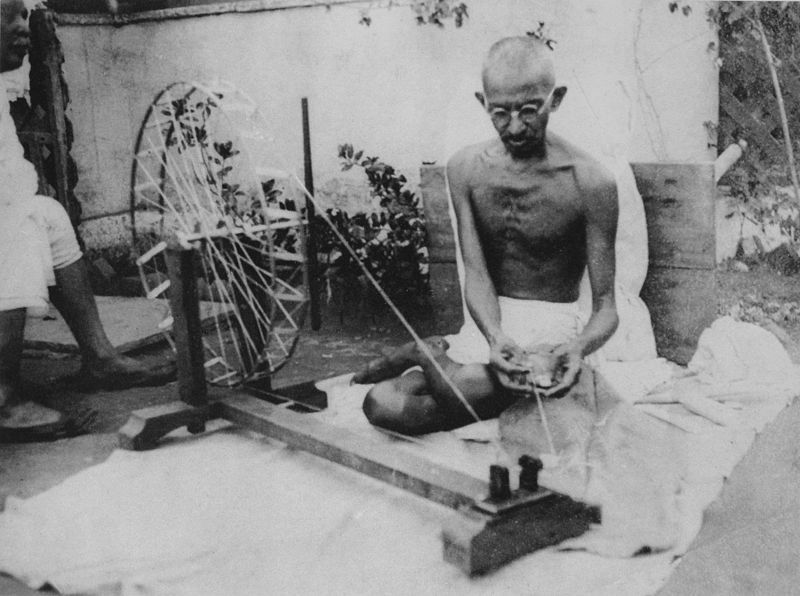 To Gandhi, political freedom was merely the first step towards attainment of real independence, namely social, moral and economic freedom for seven hundred thousand villages. 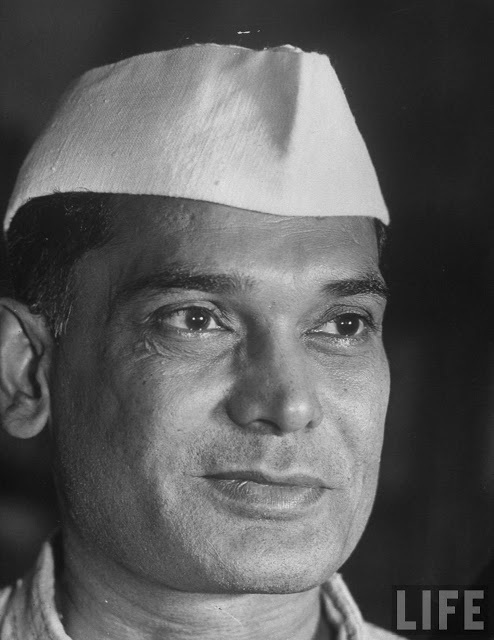 ‘If the villages perish India will perish,’ he had said. But the majority of academically trained, modern economists called his vision ‘retrograde’. Some extremists even described it as ‘reactionary’ or ‘counter-revolutionary’ and accused him of aiming to put the clock back. Posted on 1 April 2016 under Economic Theory, Gandhi. The flow of political influence and the process of moral sensitisation between the different groups proceeded in both directions. The haute bourgeoisie influenced the Congress and enjoyed a measure of political power as the Marxists argue, but they were also required to recognise the legitimate demands of the poor and the oppressed. The middle and upper class peasantry did from time to time link up with the bourgeoisie, but it also retained its independence, threw up leaders of status and class loyalty, and influenced Congress policies on important matters. Many of these leaders were not created by or in any way indebted to the bourgeoisie, and had come to power on the basis of their personal sacrifices and leadership of peasant struggles. They had constituencies which they could not lightly ignore and whose interests they could not subordinate to those of some other class. 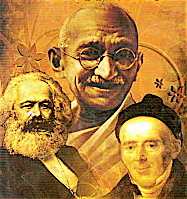 The Marxist commentators exaggerate the situation when they claim that Gandhi delivered the peasantry to the capitalists. Posted on 11 September 2015 under Economic Theory, Gandhi, History. Pamphlets, bulletins and books have now been written by Danilo Dolci and the valiant men and women who join him for a time to share his experience, his poverty, his distress and his hard labour for the uplift of those submerged, demoralised ‘criminal’ masses who struggle — even beyond legal limits — for the bare necessities of life. 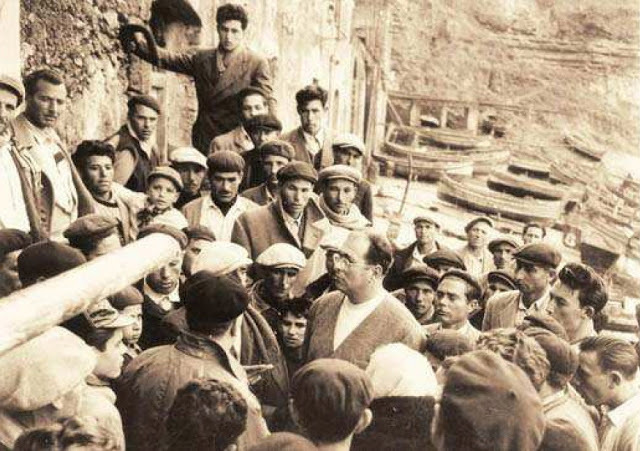 Italian social workers, pacifists, and humanitarians respect this literature, dealing with conditions in Trappeto and Partinico, situated in the Province of Palermo, Sicily — infamous as a centre of Sicilian banditry and the mafia. Posted on 17 May 2015 under Economic Theory, Gandhi, History, WRI/IISG Project. If we examine the condition of the recently liberated Asian and African nations and especially of India on the basis of these criteria, what do we find? Although political liberation has been secured, political power is still highly centralised and has not filtered down to towns and villages. The people still look to the government for everything. Everybody talks of rights, and few lay stress on duties. The blind copying of the Western democratic structure with its paraphernalia of political parties and decisions by majority has transformed every village and town into a warring camp. Villagers do not meet to discuss their problems and participative democracy is still a distant reality. Economic equality is a long way off and people are in acute poverty: large numbers of the unemployed live side by side with the rich steeped in their luxury. Chinese Communism is knocking at the door of India, yet the Indian rich evade taxation, and any legislation that might set limits on land. Nobody lays a stress on duty. Education in self-reliance and mutual cooperation is the crying need of the hour. How to bring about this psychological change leading to the corresponding institutional change? Posted on 19 March 2015 under Economic Theory, Gandhi, WRI/IISG Project. Charles Petrasch: In your opinion, what is the method by which the Indian princes, landowners, industrialists and bankers acquire their wealth? 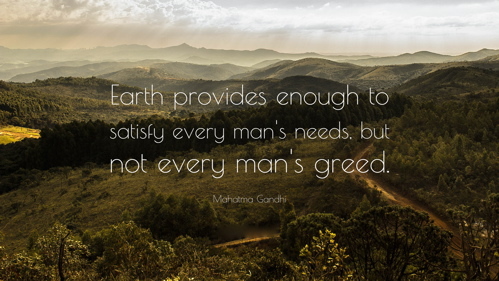 Mohandas K. Gandhi: At present by exploiting the masses. 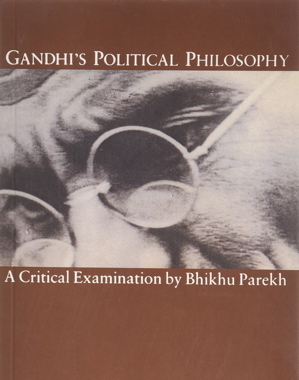 Posted on 6 March 2015 under Economic Theory, Gandhi, Interviews.